‘How does he bat with a stance like that,’ I used to wonder as a child while watching Tatenda Taibu lean backward while the bowlers ran in to bowl at him. For Taibu, however, it wasn’t much of a big deal as he was never afraid to try out new things. Back in the day, Zimbabwe cricket was at its finest and Taibu wasn’t the only one Zimbabwean that put an expression of inscrutability on the youngsters. There was Andy Flower, who made the reverse sweep an art. The precision and brutality with which he struck them fazed the opposition bowlers and put them in a state of delirium. We are yet to witness another left-handed batsman reverse-sweep the ball as exquisitely as him, even though Eoin Morgan and David Warner execute it admirably as well. Then there was the real inventor of the scoop shot in Douglas Marillier, who single-handedly won Zimbabwe a game against India by playing the shot to which the Indian bowlers – Zaheer Khan, especially – had only but a befuddled expression for an answer. Grant Flower, Alastair Campbell, Heath Streak, Prosper Utseya, Henry Olonga, Sean Ervine… the list goes on and on but among them all, Tatenda Taibu stands out. 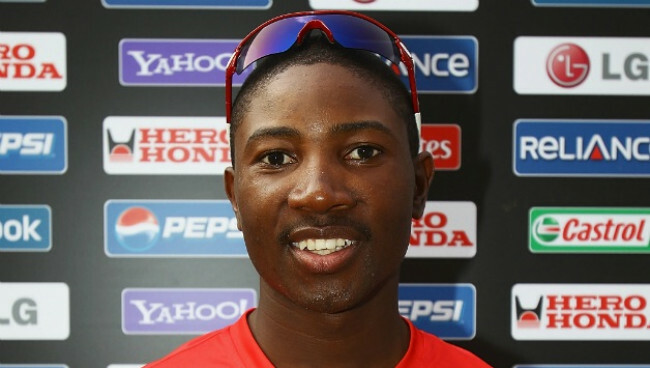 The former wicketkeeper-batsman became the youngest ever Test captain when he took the reins of the Zimbabwe team at the mere age of 20. Giving someone the captaincy at such a young age means that the player is susceptible to be crushed by pressure, but Taibu wasn’t your everyday youngster. Indeed, his stats as a batsman after taking over the captain shows how he thrived in the leadership role. As a captain, he scored 674 runs at an average of 37.44 in 10 Tests, which is higher than his average of 26.42 from the 18 Tests that he played without the stewardship role placed on his shoulders. He took over the mantle at a time when Zimbabwe were facing a crisis due to mismanagement, something that was the theme of our chat all throughout. After Heath Streak resigned, Zimbabwe had to turn to Taibu to lead an inexperienced group of players. Now, I wish I could tell you that he led Zimbabwe to glory by beating Australia at the MCG to clinch an epic series win against the Baggie Green. I wish I could tell you that he masterminded success over England at the Lord’s. I wish I could tell you that the Zimbabwean cricket team rose from the ashes like a phoenix and became the light at the time of bitter darkness. But as much as we wish for it to be, life isn’t a fairytale. Taibu oversaw his side lose series after series against the likes of Bangladesh, South Africa, India, New Zealand and Sri Lanka. In fact, Zimbabwe couldn’t win a single Test under his captaincy. Their best result under him was a draw against Bangladesh – and that, too, happened after Tatenda Taibu’s match-saving century. The downfall of Zimbabwe had begun – but Taibu is still proud to have led them at that time. “All of it [becoming the captain after Heath Streak’s resignation] happened very fast. It took place all of a sudden. Things were happening too fast for me. I didn’t realize what kind of an honor it is or what a task that was. He took a sabbatical from the Zimbabwe cricket team from 2005 to 2007 and then finally retired in July of 2012. He was only 29 at the time but had already made up his mind to quit the sport and work for church and school. After that, in 2016, he took over the role of the national selector of Zimbabwe but was forced to resign in March 2018 – along with the coaching staff – by Zimbabwe Cricket, following the country’s failure to qualify for the 2019 World Cup. It was the final splash in the fall of the once-mighty. From being one of the greatest teams in the world during the late-1990s and early-2000s to becoming a dismantled and crushed unit that they are right now – how did it all happen? “The state of cricket in the country is really at a critical point,” opined Taibu. “If something is not done very soon, I think we are actually witnessing the death of Zimbabwean cricket, unfortunately. “It is not very nice for me to be saying this, but it is the truth,” he added with a bated sigh. Recently, in response to players asking for their unpaid dues to be cleared, ZC have asked for the names of the players specifically. 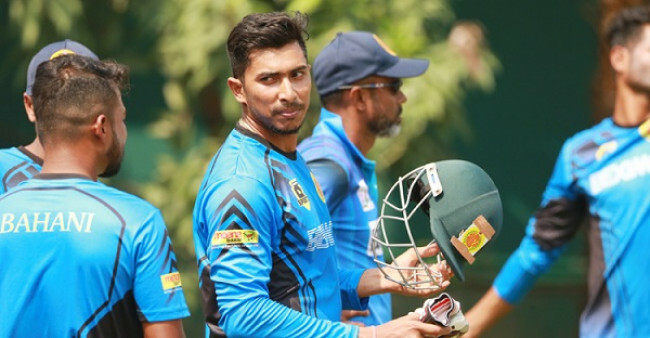 When asked about his opinion on the matter, Taibu revealed that the players haven’t been remunerated since the Sri Lanka series last year. “I just heard there’s been a few fights with the players [and the board]. It had something to do with the players asking for funds but I don’t know the details of it. All I know I that they asked eighteen technical staffs to resign a month or a couple of months back. That’s not a good indication for the state of cricket in Zimbabwe. “Well, it is the players, I know because I read the letter. The players want their wages. I know that they haven’t been paid since March. So, it’s definitely the players who have not been given their salaries and match fees. According to Taibu, the sheer mismanagement of Zimbabwe Cricket in handling its players stems from poor leadership in the top echelons. The former Kolkata Knight Riders player spoke in details about the failures of the leadership within the board, bringing up their mishandling of the debts, which have spiraled out of control over the years. “It is very simple. For anything to work, it must have [a] strong leadership. For a team to win matches, they must have a strong captain, a strong coach, and strong [set of] senior players. “If you look at any team that does well, [they] have got strong leadership. Unfortunately, we haven’t had strong leadership for a lot of years now, probably since 2004, and that is in terms of the board. So there is no way for an organization to go anywhere [with poor leadership]. As the chat went on, Taibu lamented Zimbabwe’s failure to form assets, despite getting a grant from the International Cricket Council every year. 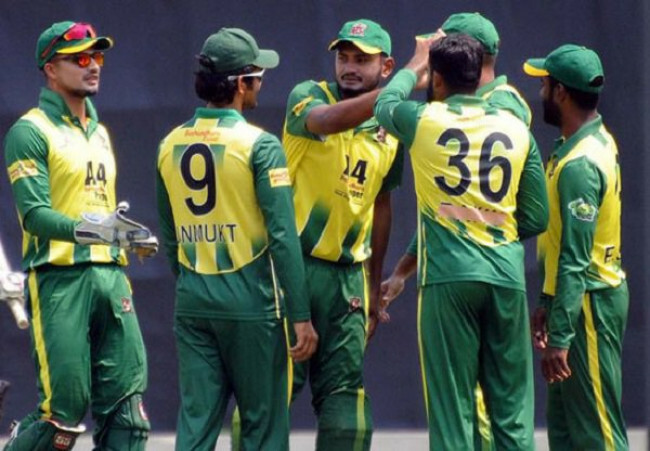 Right now, the Bangladesh cricket team are among the dark horses of cricket, a status that Zimbabwe had back in the early part of the millennium. The Tigers have been able to win ODI series against South Africa, India, and Pakistan at home while also beating Australia and England for the first time in Test cricket. That’s not all, however, as their performances in the big tournaments have also been admirable, qualifying for the semi-finals of the ICC Champions Trophy in 2017 and the quarter-final of the World Cup in 2015. They have also reached two Asia Cup finals in 2012 and 2016. Bangladesh’s rise to where they are now hasn’t happened in one day. Indeed, their first forays to glory happened against a depleted Zimbabwe. Bangladesh’s journey from there to now has been full of struggles, but they, according to Taibu, had cricket-loving people running the board. “Well, I think what Bangladesh has managed to do is [that] they have had people with love for the game leading the organization. I remember when Bangladesh started to do well, they had the likes of [then BCB advisor] Riazuddin Al Mamun and lot more other guys that had a passion for the game. “If you look at the leadership now, you can have an in-depth discussion with them about cricket. Everyone in the leadership are cricket-loving people. They understand the game and have played it before. You can’t go wrong when you do that. He then continued speaking about the rise of Bangladesh cricket and used their celebrity status in world cricket as a testament to their development. “For the last fifteen years, I’ve been watching Bangladesh cricket grow at a [constant] rate. 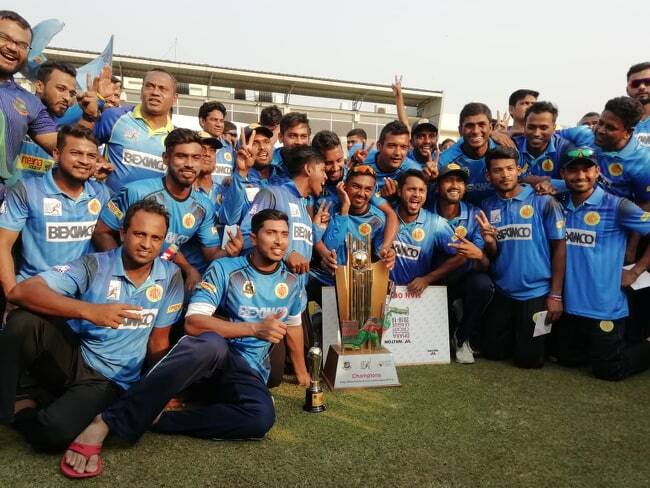 The players who started the process of gaining recognition for the team, the likes of Habibul Bashar, [Mohammad] Ashraful, Mashrafe Mortaza, [Mohammad] Rafique, Khaled Mahmud, Javed Omar… that group of players set Bangladesh cricket on the map. Mashrafe, in particular, is someone that Taibu admires a lot. The two share a great bond and the Zimbabwean didn’t hold back his thoughts on the legendary Bangladesh ODI captain when he was asked about his favourite Bangladesh player. The thing that stood out most about the former Zimbabwe selector was his humble demeanour as a human being. For him, it has always been more important to be a good person than a cricketer – and that is exactly what he advised to youngsters. Before even turning 30, Taibu decided to hang up his boots and devote his life to service of the church. With his departure from the role of selector, he now hopes to fulfill his calling of becoming a philanthropist. While one would hope, for the sake of cricket, that Zimbabwe cricket rises from this quagmire, Taibu’s words on the whole saga shed a dire light on the current state of the country’s cricket team. Anything and everything can fall from even the greatest of highs if not taken care of with love and diligence – and that is precisely what Taibu’s words have ascertained.